On January 3rd I started my fat burning plan for 2011. 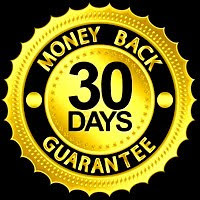 As always, when I want to burn fat fast and get in tip top shape, I use the Fat X Program to jump start the fat burning process. As I write this, I'm on day 10 of my Fat X Project 2011. 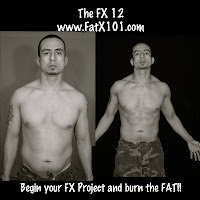 I want to share some of the tips that I've been using to burn fat during this run through the Fat X Program. Some of these tips I've never shared before. Hopefully these tips will help you stay on you fat burning plan. I ate ate an avocado everyday up to this point. I did't pinch food. Meaning I only ate fully prepared meals. Whenever I still felt hungry after a meal, I had a cup of coffee to curb cravings. I've written everything down that I've eaten. Some of these tips are really simple, but up to this point, they have really helped me stay on track. 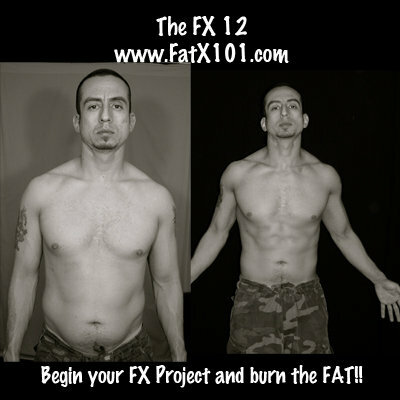 If you haven't started a fat burning plan yet, get on it ASAP and get your best body ever in 2011! 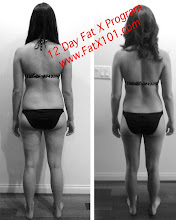 My complete Fat X Project 2011 results will be posted soon.